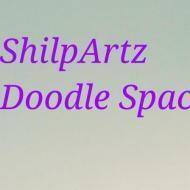 Shilpartz Doodle Space is an art school/Activity center for kids and Adults.We have regular drawing, Painting, Sketching classes for kids and Adults. We also have language classes like Kannada and French. Our Summer Camp n workshop are well planned and full of fun for kids. About the founder: Shilpa Srivastava is a mental health professional converted into a passionate artist from more than a decade. She believes that each child is different and has different capabilities, we work on each child individually. No white board or black board in our classroom, we don't believe in copy drawing, we believe in imaginative art. Shilpartz firmly believe that we don't make Artist here but we give wings to a child's imagination and their creativity. They get ample of opportunities to unwind their creative urge with a proper guidance. Shilpartz conducts classes in Art and Craft. It is located in Kadubeesanahalli, Bangalore. It takes Regular Classes- at the Institute.